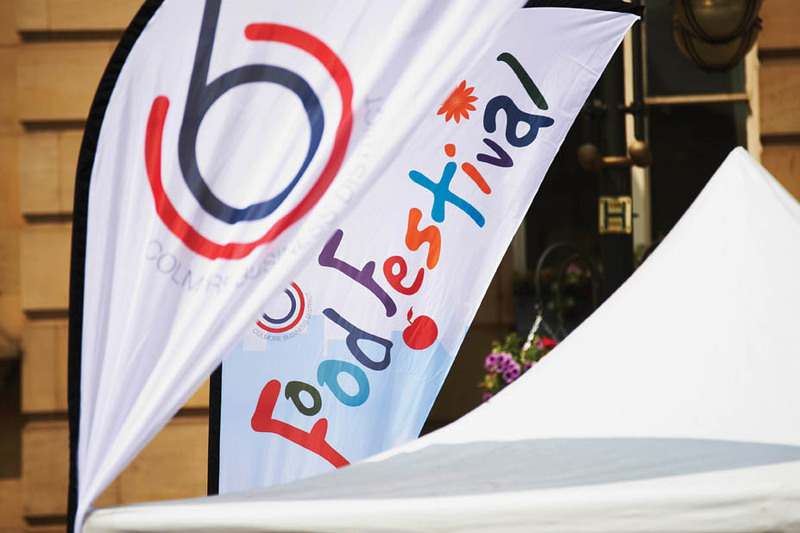 The annual CBD Food Festival is proving to be a very popular hit with culinary crowds and it is no wonder given Colmore Business District has some of the best eateries in the city on its doorstep. To show them off once more the Festival is back in July to showcase the superb food and drink offering in Birmingham’s business quarter. 24 venues, many of whom are independent businesses, will be serving taster options priced from as little as £3 to £5 in Birmingham’s Victoria Square. Visitors can sample an array of mouth-watering internationally inspired cuisines as well as traditional British options. Alongside the varied food offering will be artisan coffees, real ales, fine wines, champagne and delicious cocktails. There will be a programme of live cookery demonstrations from top chefs in the District, including a culinary collaboration between Michelin-starred chef Glynn Purnell and Opus at Cornwall Street’s chef director, David Colcombe. The festival will also feature live music, outdoor theatre and other entertainment during its two-day run. All we need to add is some fine sunshine! You can read more about Colmore BID in our special Area Guide dedicated to the district here. This entry was posted in Bars, Birmingham, Eating Out, Festivals and tagged Asha's Restaurant, Bushwackers, CBD Food Festival, Chi Bar, Chung Ying Central, Colmore Area Guide, colmore business district, Costa Coffee, Edmund's Lounge Bar & Eatery, Ginger’s Bar, Hindleys Bakery, Hotel du Vin & Bistro, Isaacs Contemporary Indian Dining, JoJolapa Bar & Restaurant, Metro Bar & Grill, Opus at Cornwall Street, Pure Bar & Kitchen, Purnell's, Purnell’s Bistro, The Bureau, The Centenary Lounge, The Jekyll & Hyde, The Old Contemptibles, The Old Joint Stock Pub & Theatre, The Square Peg, Urban Coffee Company, Yorks Bakery Café. Bookmark the permalink.